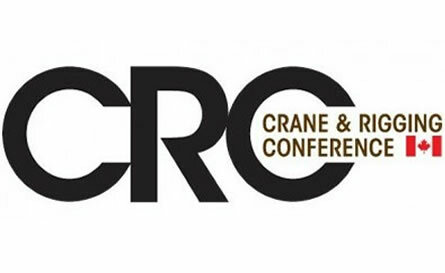 Born out of last year’s event, the Canadian Hoisting & Rigging Safety Council will be inaugurated at CRC Canada 2012, at the Sutton Place Hotel, Edmonton, Alberta, Sept. 13-14. MCM Events is delighted to name the first members of the Canadian Hoisting & Rigging Safety Council (CHRSC), which will be inaugurated at its Crane & Rigging Conference (CRC) Canada 2012, at the Sutton Place Hotel, Edmonton, Alberta, Sept. 13-14. A new crane safety council of high-profile industry executives will be unveiled at the event, when it returns to Edmonton, where it opened to a standing room-only crowd in Sept. 2011 at the nearby Fantasyland Hotel. Professionals from all the western provinces and many from the United States attended. The new council will be introduced to CRC Canada attendees on the afternoon of the second day of the event before sitting to form a panel to take questions from the audience. Breaking new ground in the way crane safety is addressed in the region, it is sure to be an event highlight. Last year, a panel sat to discuss harmonization of regulations relevant to cranes and rigging with Alberta and the other three western provinces—British Columbia, Saskatchewan, and Manitoba. The Northwest Territories are addressing major growth in the oil, gas, and mining sectors over the next 10 years. Richard Howes, associate publisher and editor for the event organizer, Maximum Capacity Media, said: “The inauguration of the CHRSC justifies the work that went into launching this conference in the region last year.” Howes, who moderated last year’s event, stressed in his opening remarks the importance of returning 12 months later to report on positive change. “Building on the momentum of last year’s panel discussion and working with a council that was formed out of those positive dealings is evidence of that,” he said. Daryl Harvey, senior staff, Health & Safety Training & Implementation, CENOVUS Energy Inc.
Register to attend before July 31, 2012 to save $100 with early bird registration.